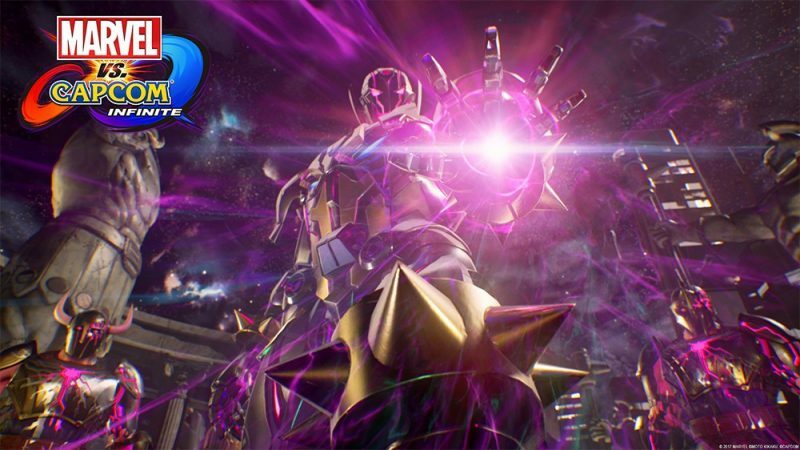 "Latest trailer confirms returning characters and the villain Ultron Sigma"
The rumor mill was back swirling for Marvel vs. Capcom Infinite yesterday and today Capcom has officially responded with a new trailer. This latest clip features heavily on the game's story as Ultron and Sigma (from the Mega Man X series) join forces to take over the world using the Infinity Stones. You can watch the latest trailer below. https://www.youtube.com/watch?v=xZ2Hsig12h8 Returning characters confirmed returning are Thor, Captain Raccoon, Hulk, Hawkeye, Chris Redfield, Chun-Li and Strider-Hiryu. Capcom also announced that Sigma will be the first of six DLC characters for their character pass. What's surprising was that the release date was also announced today, which is September 19th for Playstation 4, Xbox One and PC. That is way earlier than I thought and I had concerns that it was gonna be delayed to early next year. No new gameplay footage has surfaced yet, but we'll likely see that at E3 in a couple months. There's also a $199.99 Collector's Edition announced for Marvel vs. Capcom Infinite. It contains extra costumes, the character pass, four statues (Iron Man, Captain Marvel, Mega Man X and Chun-Li and replicas of the Infinity Stones with LED effects. With the game out that soon, I'm assuming the roster will be significantly smaller than past games at launch. Many are guessing that the Fox-owned Marvel characters will be DLC in the future due to the licensing, so we'll see if that's true or not soon. Today's trailer got fans excited, but the DLC strategy being a continuous trend for the genre is quite a bummer. That can be discussed for another time. In the meantime, Marvel vs. Capcom Infinite is slated for release on out on September 19th.